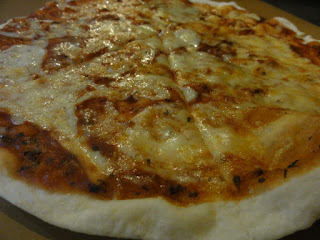 Amidst the rain and cold weather, we decided to visit the latest branch of Mamma Maria Pizzeria in Lapu-Lapu. It is only one ride away from home anyway and I'm too lazy to cook and prepare food. I had my taste of their pizza a few years ago with Azzuly, Ian and James but it was at their main branch at Gorordo Avenue. They closed as well as the Opon branch. The latest branch have more choices, they serve Inasal, Turkish, Combo Meals and ofcourse the Italian cuisine. 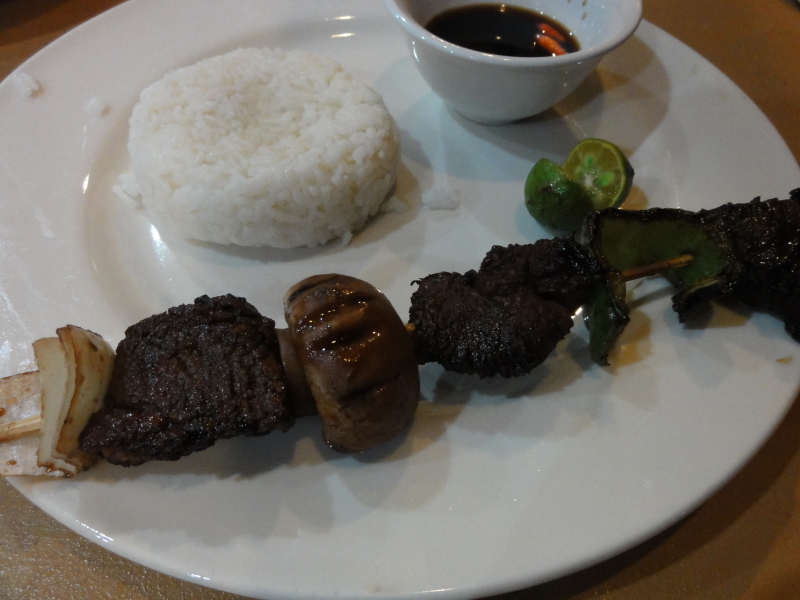 I decided to try out the Beef Kebab at Php89. The photo on the menu shows it is served with vegies on the side. What I had was this. No vegies on the side. So I took a bite out of it and was rather disappointed. This tasted like the King Kebab Shawarma I had in Grandmall which was rather unsatisfying. It was spicy and only remained so for a brief 3 seconds. It was not really tender. It wasn't even succulent. It took some chewing to get it down. Had I not been hungry I could have passed on it but I needed to eat. The rice was really sticky and I reckon it was leftover rice from the morning. Although the Kebab was a total fail, I loved the Pizza. We had Margarita which was only Php99. 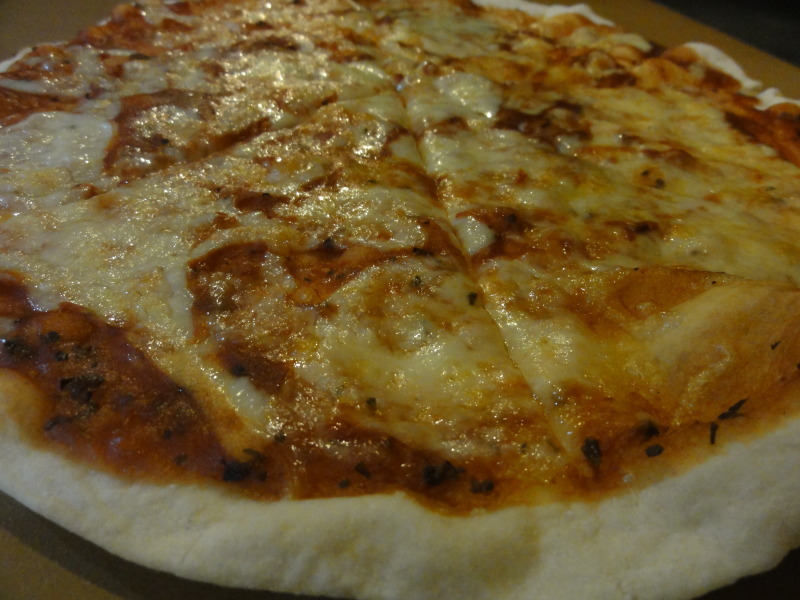 I loved the crust being so thin and the sauce was just right. 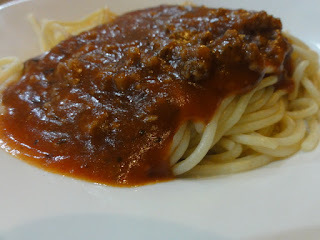 The pasta dish, the Bolognese which is sold at Php59 was almost a failure. The sauce was Italian indeed but the pasta was rather on the raw side. It wasn't al dente at all. Spent Php248 and was not really happy about it. Maybe I should stay away from the pasta and kebabs when I visit them again. 1. 30% discount on all their pizza. 2. 50% discount. Buy 1 Family Pizza and you will receive 1 Family Pizza for free. Promo is valid until 31st of October 2011. Call them at (032) 495-6549 from 10AM til 12MN.